This is the last report I shall have to give before the annual general meeting. You will note that because the 15th of September clashed with the Olympic Games, the committee decided to move the AGM to the 1st of September. I hope this will not inconvenience too many people. The venue is still the United Service Club. The timing is 1900 for 1930 hrs. The cost is $50 including wine, beer, port, dinner and of course GST. RSVP is to be by 25th August 2000 to the Secretary QUR Association 24 Walcott Street St Lucia Q 4067. It should be a good night. The speakers will be Michael Bond and Gina Privitera who will tell us of their experiences in East Timor. Obviously members of the committee are to be elected at the AGM. I thank the 1999/2000 committee for their hard work and hope they can see their way clear to continue on. I also hope that any other member interested in assisting is happy to be nominated. There is not a great commitment involved. If you are interested you should call me. On the membership front I would like to welcome as new members Tim O’Brien, Geoff Bulow, Kerryn Newton and Bronwyn Gregory. One of the objects of the Association is to provide a mechanism for past and serving members of the Regiment to keep in touch with other members with whom they served. Enclosed with this newsletter is a list of the financial members of the Association with contact details. Finally on membership if any member knows anyone who served in QUR who is not a member, please ask them to join. Yearly membership is $10 and for ten years only $70. In terms of functions, the Back to the Regiment night was a success as reported in the last newsletter. I hope the AGM will also be successful and hope that as many members as possible can attend. Sales of ties are still fairly brisk. We have around 20 left. They will be available for purchase at the AGM. During the year we supported the unit itself. We presented two prizes to outstanding officer cadets in February. We also supported the Regiment’s activities on Anzac Day. The history of the Regiment is not yet complete, but it is hoped that it is not too far away. Past Commanding Officers have been sending me information for the history. Neil Heather and Ian Hughes have been working hard on providing information as well. Lieutenant-Colonel Bruce Davis, RFD one of our members had the honour of being awarded the Conspicuous Service Medal in the Queen’s Birthday Honours. Congratulations Bruce. One further thing - we have found that communicating with out membership by E mail is very effective. We presently have around 60 E mail addresses. Would any member who has not provided their E mail address provide it to us so that we may contact you. We still intend sending hard copy of the Magazine however we can send reminders etc by E mail at a very cost effective price. The E mail address of our membership officer Peter Morton is on the rear of the Magazine. As always if there are any suggestions please contact me. The Regiment has conducted three Officer of Cadet (OOC) courses for Australian Army Cadet Corps staff. They were the Induction Course, First Aid Course and the Officer Course. Major Shauna Tomkin’s Basic Wing team conducted these. Students reported that each course was enjoyable and they had learnt a lot. Some emphasized they were not an Army organisation but overall liked the skills taught. A few did not enjoy the routine barracks inspections and being yelled at on the parade ground. Three students did not complete the Officers Course, they found out that this was not an attendance only course. Military life goes on! The four week Module 1A course will end next month. The two week continuous camp at Enoggera was as successful as last year’s course. All 26 Officer Cadets passed the competencies. Another three OCDTs attended the UNSWR Module 1A and another has attended the RMC NQLD detachment course. All going well this group of 30 will start the Module 1B field training at Wide Bay in December and will graduate at the Royal Military College in February 2001. Annual fitness and weapon training tests have also been completed. The indoor weapon range is a very popular training venue that supplements range shooting. ‘Suicide Prevention Awareness’ training is now a mandatory subject for training curriculums for both instructors and officer cadets. This training is to be conducted as part of unit induction training by University Regiment psychology officers. Have you got your new design QUR tie yet? Contact President Paul Smith to order one. on Saturday 13 May 2000. A Regiment, as a living body, has its life in the work of the military day. That day may be its garrison activities or its training camps, its moments of ceremonial and, most important of all, its times of operational duty in peace and war. Our Regiment, the Queensland University Regiment, has its life in each of these themes. It has, as its extra key term of reference, that role which both requires and empowers it to recruit, train and prepare young officers for command roles in the operational units of the Australian Defence Force. Such roles are diverse. It is such diversity —a feature which reflects the breadth of tertiary education as a whole — that gives our Regiment one of its particular strengths. The young people of the Regiment, training primarily in the arm of Infantry, will continue to take their future place in arms as diverse as those of engineering, armour and military aviation; and will serve in fields as diverse as military medicine and health, military law, transport and intelligence. Our Regiment offers the opportunity for service to the Nation in the most diverse of military callings; and the lives of our young trainee officers — coming from the academe of arts and music, agricultural science and dentistry, horticulture and physics — such through this Regimental portal have the opportunity to live life with an extra personal and professional dimension which is the privilege only of the few. Once each year we reflect on the perspectives of our Regiment; and it is my privilege as an ’’old boy” of the Regiment to do so this year. Over the past five years I have met up with alumni of our Regiment, in five of the operational hotspots of the world. On each such occasion, and in the most unlikely circumstances, we have taken a moment to look back with pride and affection to our base at Walcott Street in St Lucia in Brisbane where so many commenced their military careers; and to see in perspective those bonds forged in camps and bivouacs when the fuses of the world’s flashpoints seemed longer. The perspective of our Regiment — indeed all University regiments — therefore, is a forward looking one — a base from which the skills and the profession of arms are developed such that this most professional of service will be part of our nation’s life in an unknowable future. 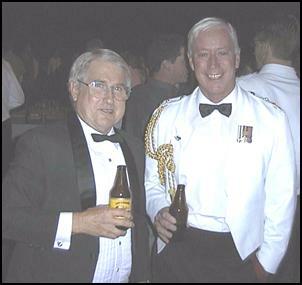 The demands made on Australia’s servicemen and women, both in peace and at times of operational duty, are very great. As a practising university clinical paediatrician, I care for children (of Service families) who do not see one of their parents for perhaps six months out of every twelve, such are the exigencies of years to the month after the most appalling hand-to-hand genocidal slaughter that the world has seen for perhaps sixty years. That full and free democratic elections might have been held within five years of those appalling events of April 1994, would have been unthinkable to any observer at the time of the disaster. Yet such was achieved, particularly by the force of law imposed initially by the United Nations; but greatly by the professionalism and demeanour of the Australian servicemen and women who were privileged to serve on that deployment. I met them there as alumni of our own Regiment—serving in several diverse roles particularly including those of the crucial disciplines of military medicine and military law. All past and serving colleagues of the Regiment will be aware that Australia has a fine peace-monitoring force serving on Bougainville, one of the most troubled areas of the South Pacific and an island where a bloody civil war was fought for some seven years. The demands of our Australian servicemen and women in that ongoing deployment are great. None are armed, yet they serve in a region where partly-destroyed indigenous society with all its internal stresses. The ultimate great strategic threat to Australian operational deployments is that of ill health: and, in the East Tim or deployment particularly, the threats of malaria, dengue and encephalitis are always there. Death from cerebral malaria is just as permanent as death from a militia sniper’s bullet. Training and self discipline to preserve one’s own health, using the proven measures that our Defence Health Service has developed over the last decade, remain one of the greatest requirements of contemporary operational service. The other very real but intangible requirement is the development of a resolute, cheerful and professional demeanour; for again the ultimate legacy that our force will leave in that troubled nation is that of the role models of our servicemen and women. Role models are important as a collective impression; but individual Timorese (just as individual Papua New Guineans, Rwandans, Somalis and Cambodians) will recall an individual servicemen or women and their dealings with them, rather than an amorphous collectivity. “the traditional soldier goes to war and so often finds peace; but the Peacekeeper goes for peace and finds war’. I have just returned from the Asia Pacific Conference of Surgeon Generals, where I met in small session, with my counterparts, the Surgeon Generals from Russia and China, Japan, the United States, Mongolia, Indonesia, Malaysia and Singapore. to name but a few. We discussed at that forum the issues that confront us all all nations with a crucial stake in preserving our regional stability and peace Those contemporary threats are issues such as bio-terrorism and the issues of our specialist groups, such as those of military medicine, who work in multi-national teams in humanitarian and natural disaster situations, It struck me in that forum that the qualities needed to both preserve an honourable peace in our national regions of interest on the one hand, and to be able to take our place in multi-national emergency response teams on the other, comprise just those qualities which one encountered during the annual camps, weekend bivouacs and what seemed like interminable training nights in the training year of our own Regiment. In this context, the perspective of our University Regiments stands tall. Capt. 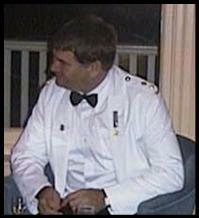 (later Major) David Kidd RAMC who was DADMS in Saigon about the time of TET. He was TOC O in QUR for one camp, and did qualify as an Infantry Lt. before he graduated in medicine. Capt. John Dey, who was OC 33 Dental Unit at Vung Tau. He too was a member of the Transport Platoon, but was commissioned into the Dental Corps on graduation if I remember correctly, not before. He was one of the "villains" of the Transport mob. Sadly, he died a few years ago from complications resulting from his exposure to Agent Orange during his visits to outlying areas in Civil Aid Programs. He was TPI for the last couple of years of his life. Both of these officers were on Army Scholarships during the latter part of their studies, and service with QUR came with that obligation. 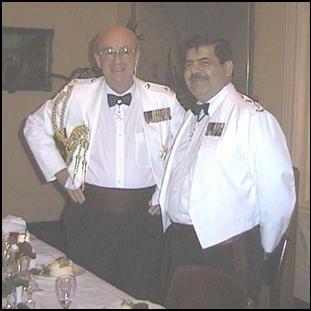 David Kidd had been a member of the Moreton Regiment before he transferred to QUR. Both entered private practice when their terms in Vietnam were completed. I am sure you would also be aware of the unfortunate Capt. Bade, who was killed in Vietnam. He came to us as part of the graduation process from Duntroon, when they did their units for a Science Degree if I recall, and he was then posted to the Artillery, where he was serving at the time of his death (I think by artillery fire - no doubt Sam Harrison could expand on that?). I haven't been able to attend any functions for a while, but who knows, maybe the next one or so? PS John Dey and I married David Kidd's sisters by the way!!! Dave was also able to provide this fascinating little military historical anecdote about the World War II British code-breaking establishment at Bletchley Park. Did I tell you a while back that I was present at a small luncheon gathering a few months back where our guest speaker was a rather delightful lady (who lives in Cleveland) who spoke to us on her experiences as a decoder at Bletchley during WWII? She had never even vaguely considered breaching her secrecy duty for something like 45 years until things started being published about Enigma and Ultra and only then did she ever begin to mention to friends just what she did in those times. It had been a bit of a trial at times having to be vague as to just what she did "in the War". I can tell you that it was a fascinating lunch. The way she was posted to Bletchley was a scream - typical British hush-hush stuff, that really worked. A bunch of them were posted after a course to "duties" - all fairly quick, and their effects would follow on a later train. It was only when they got their transport tickets that things started to differ. She ended up at Euston with no other course members with her. Got to Bletchley to be met by a driver "Oh, only one of you today", and she never ever saw any of her course colleagues again. Her arrival at the installation was a scream too. Had to borrow clothes from the Senior Receiving Person - no pack ever arrived, and was on her own in a dark dormitory until the middle of the night when the change of shift arrived and inspected her by torchlight. Great to-do when she asked "who are you and what do you do?" Not done old chap!! And so it went on. She actually ended up in Ceylon after Germany fell doing the same against the Japs. There she met her future husband. He just happened to be an invasion clearance diver, who did bomb disposal on the side. Unfortunately he had just been blown up, and was being put back together, with lots of plastic surgery. They must have done a good job, because he is still with her (and us) and is quite a character in his own right. Notice is hereby given that the Association’s Annual General Meeting will be held in conjunction with a dinner to be held at the United Service Club Wickham Terrace on the evening of Friday 1 September. Address by Majors Gina Privitera and Michael Bond on experiences with INTERFET in East Timor.